Photo Frame Show - Send free E-Cards with your framed photos! Please wait while your frame is being applied. 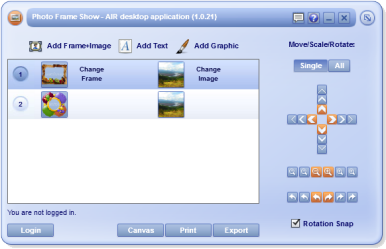 install Desktop Applicationfor powerful editing options! More video/music services will be added soon. You have not added a message to your e-card! click on the Send E-Card button.